Lola is our long coat female who's pure DDR pedigree has some of the best dogs known in the world. 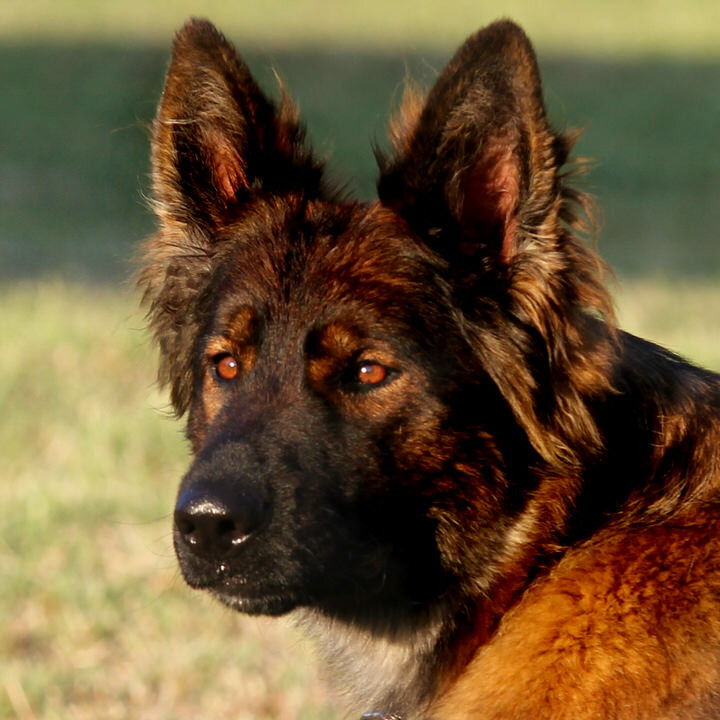 Coming from the infamous Grafental lines (known for superior temperaments and working ability, along with elegant aesthetics), her ancestry shows a long line of highly titled dogs. Her affectionate and gentle nature makes her the perfect dog for families and children- with a high potential of her pups being suited for service dog work! With OFA certified hips and elbows, and DM clear, she will pass on health, structure, and remarkable temperaments to her pups. Click here to see her entire pedigree, with photos and titles listed. She is a stout female with nice thick bone and feminine features that compliment her charming personality. 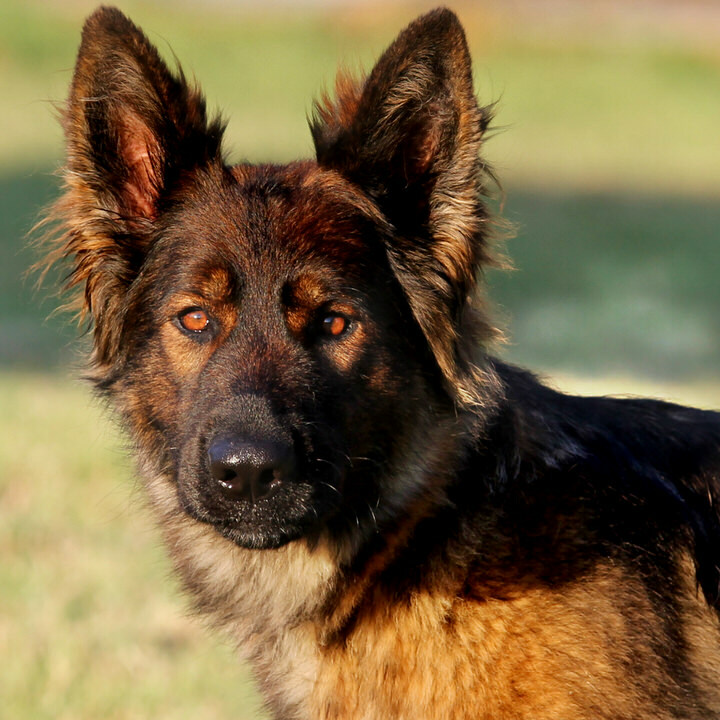 Highly intelligent yet still mellow and attentive, Lola embodies the "gentle giant" that made us fall in love with German Shepherds as a child. Ready to work, cuddling with the kiddos, or just standing watch over the homestead- Lola is an integral part of Debut Shepherds.